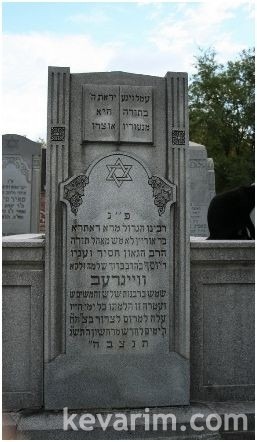 R’ Weinreb’s son in law was R’ Mendel Perr (https://kevarim.com/rabbi-menachem-mendel-perr/). I am a great grandson of Rabbi Weinreb, and would love some photos of him (I don’t have any at the moment). Could you email them, assuming they are in digital form? @YS – What is your email address? can you send me the pictures too? If you would like to contact Rebetzin Sara Schafler Kelman she is the granddaughter (einikle) of Rabbi Weinreb and has many records and information which she is happy to share. Rabbi Yosef Weinreb (center) Marching in support of the Balfour Declaration in 1917, in front of the parliament building in Toronto Canada The building is still standing today, in Queen’s Park.